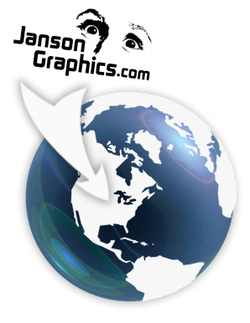 I know my introduction to design — first college and then starting Janson Graphics in 1988 succeeded from the get-go, with hard work — AND fortunate timing. My skills and the Mac's capabilities grew side by side, and my first client was a magazine. For this solo (and green) designer, while oodles of ads cranked out quickly, covers designed cleverly, and keylines masterfully — deadlines were met. That’s fortunate timing! Need help self-publishing your book? My help might include converting your word file to custom designed interior pages from one page to the next; designing a cover satisfying printing specs; and/or converting your print book to a Kindle book for Amazon. Call 952.474.4442 or email to discover what's possible with your self-published book.